Step back 120 years and the wide-open, semi-agrarian landscape of Southern California would be nearly unrecognizable to modern Angelenos. The orchards and farms that dotted the arid scrubland have given way to a global city that has seen leaps in technology and engineering. That’s all thanks to one industry, says historian Peter Westwick. It’s probably not the one you’re imagining — that industry with red carpets and cameras. Instead, Southern California has been shaped, again and again, by a race toward the stars. 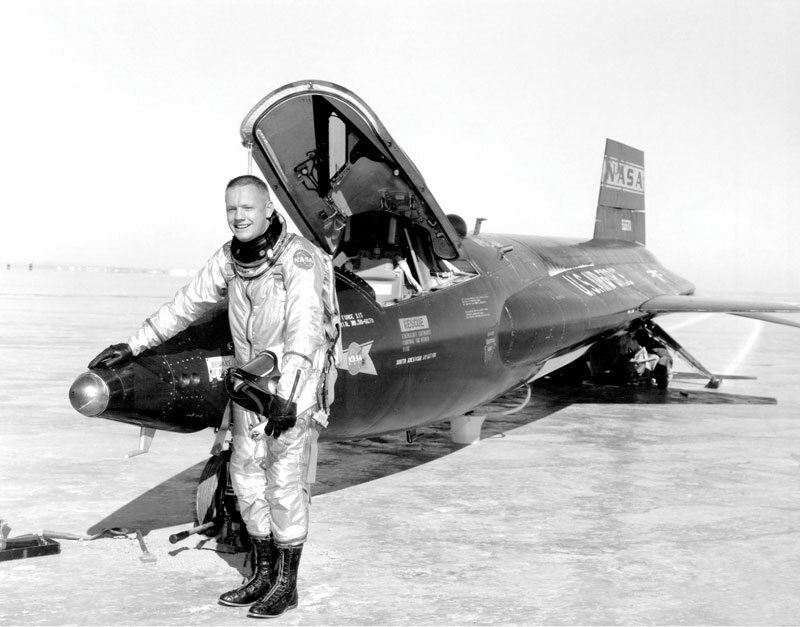 From some of the first steps in airplane development through the space race of the 1960s, Southern California has been at the epicenter of aerospace. And as a hub of research, education and new talent, USC was instrumental in its development. Today, as the commercial space industry takes off, USC alumni and faculty continue to play a vital role, whether it’s through legacy space companies, startups or university research. More than 25 airframe and aircraft engine makers set up shop in the L.A. area. Companies supply aluminum to early aircraft like Charles Lindbergh’s Spirit of St. Louis. Southern California aircraft manufacturing plants employ 2 million people and produce 300,000 planes during World War II. By the war’s end, 60 to 70 percent of the aerospace industry— from manufacturing plants to research divisions—calls the L.A. region home. The Department of Defense awards a quarter of its contracts to California firms during the early Cold War. North American Aviation’s Downey facility scales up to 25,000 workers to build NASA’s Apollo command module. Fifteen of the 25 largest aerospace companies in the U.S. are headquartered in Southern California. L.A. County is home to one of every 10 U.S. aerospace jobs. Department of Defense spending slows for the first time in a decade, beginning a downturn that results in Southern California losing two-thirds of aerospace industry jobs within two decades. 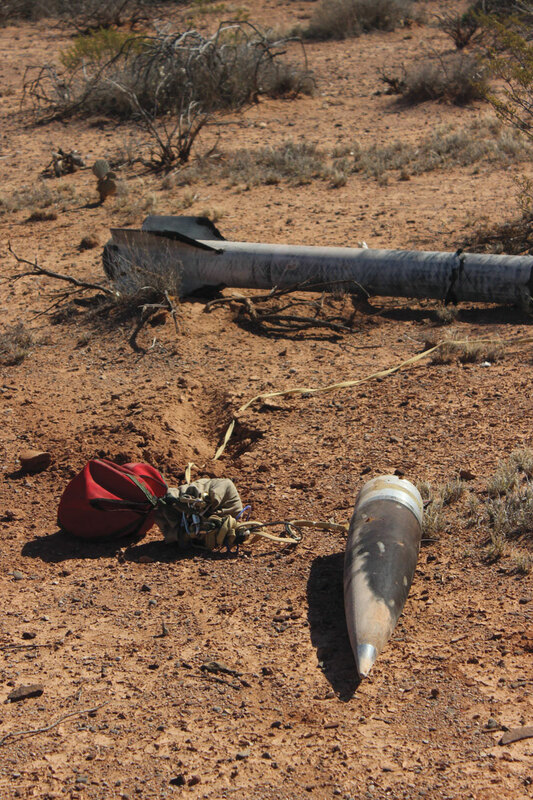 Jobs related to space vehicles and guided missiles jump by 62 percent. Nearly a quarter of these positions are in Southern California. Aerospace in Los Angeles was born out of the aviation industry, says Westwick, an adjunct research professor at USC Dornsife College of Letters, Arts and Sciences and editor of Blue Sky Metropolis: The Aerospace Century in Southern California. Famous aviators headed to L.A. in 1910 for the first major international air show in the United States, which drew hundreds of thousands of spectators. By 1928 more than 25 aircraft and aircraft-engine makers had set up shop in Southern California. “If you ask most people, it was the weather: good flying weather with blue skies,” says Westwick, who also runs The Aerospace History Project, a partnership between USC’s Institute on California and the West and The Huntington. But he believes the region’s inexpensive, open land may have given the budding aircraft industry room to grow — literally. “You needed to put airfields away from houses because they’re noisy, dusty and dangerous,” he says. Local boosters also championed the cause. Another factor was the presence of research universities like USC. In the 1950s and 1960s, USC became an engineering powerhouse, along with UCLA and Caltech, as the universities built impressive graduate programs. “One of the crucial things for USC was not in the traditional undergrad education, but returning education,” Westwick says. USC partnered with Hughes Aircraft, which had operations in sites like Culver City and what’s now called Playa Vista. Through an enrichment program, Hughes employees could earn a master’s degree or a doctorate from USC. The development of the industry came in waves. By World War II, two million people were working in L.A.’s aviation industry, and individual manufacturing plants employed some 100,000 people. After the war, returning veterans flocked to USC on the GI Bill. The university graduated 5,000 engineers in 1955 alone. USC grads would go on to jobs at TRW, Northrop and other aerospace firms. It was a symbiotic relationship, Westwick says. The school’s graduates joined the aviation industry workforce, faculty would often provide consulting for companies, and working senior engineers often taught classes at the university. This interchange of ideas people heated up during the space race years of the 1950s and 1960s, when much of the Apollo program — NASA’s mission to send astronauts to the moon — was carried out in Southern California. One of the USC alumni critical to Southern California aerospace history is Kenneth Richardson MS ’54. He was president and COO of Hughes Aircraft Company. For decades, USC has been steadily building a pool of talented thinkers and doers for the space industry in Los Angeles and beyond. “Our primary contribution was and is workforce development, educating the future engineers in space enterprise,” says Mike Gruntman, chair of the USC Viterbi School of Engineering Department of Astronautical Engineering. That contribution is still going strong. In addition to going to legacy aerospace companies like Boeing and Lockheed Martin, USC graduates now work in the commercial space industry with private companies in the “NewSpace” movement like Blue Origin and SpaceX. It helps that in 2004, USC created a department dedicated to astronautical engineering, separating it from aerospace. The astronautical engineering master’s program is one of the largest in the country — and the first to solely focus on advancing science and space technology, Gruntman says. About two-thirds of participants in the master’s program take courses online while they work in the industry. It’s once again an entrepreneurial industry, too. One of the novel startups in the field is Relativity Space, founded in Los Angeles in 2015 by two USC alumni, Jordan Noone ’14 and Tim Ellis ’12, MS ’13. 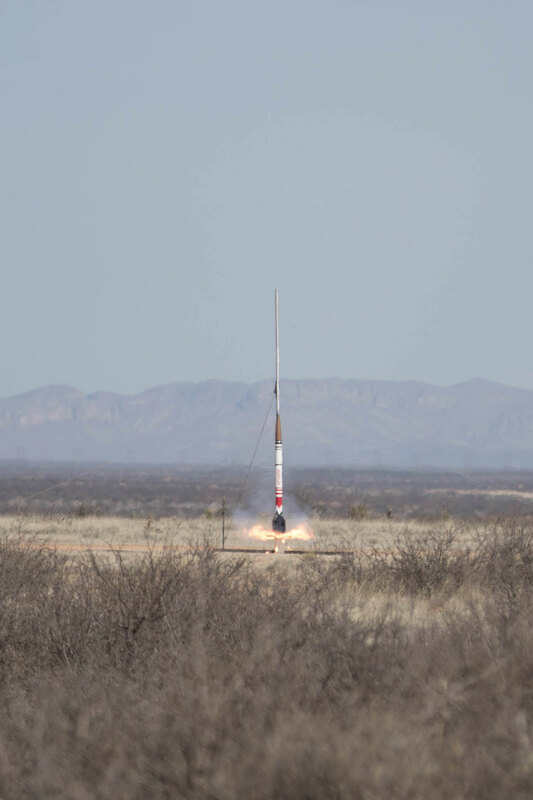 They plan to build and launch 3D-printed rockets into space using the world’s largest 3D printer. 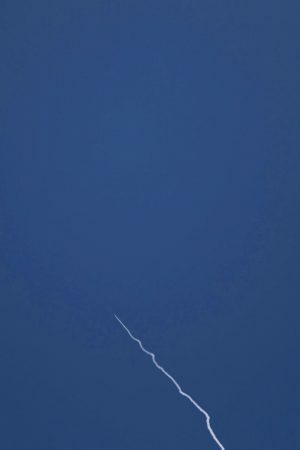 Those rockets will supply and deploy future satellite constellations as well as bring down the cost of ferrying goods to space. 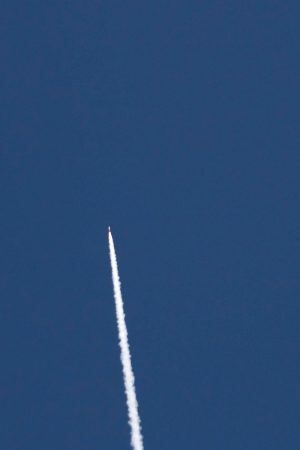 Noone says he is excited about what the next decade will hold for commercial space, as rockets become smaller, more reusable and more nimble — while big players still plan super-heavy launch vehicles bound for the moon and Mars. 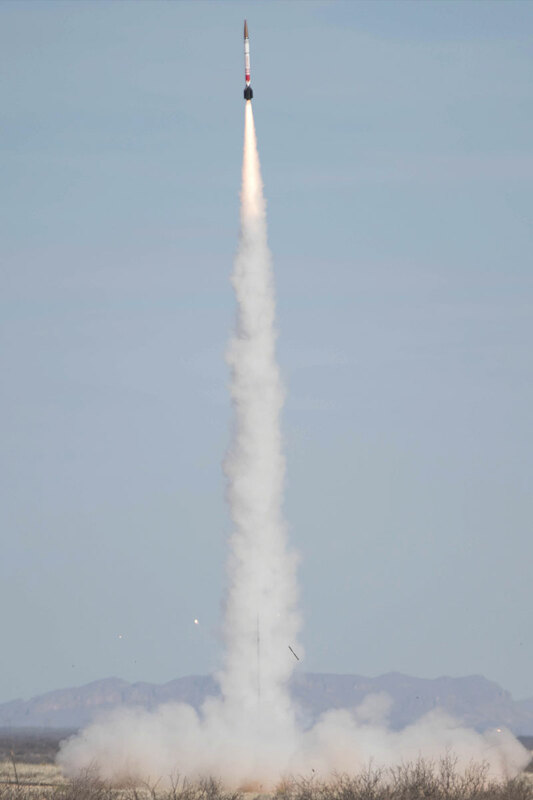 About 12,000 new satellites will be launched over the next decade, says Bogdan Marcu MS ’93, PhD ’96, a scientist at Aerojet Rocketdyne, a rocket and missile propulsion company with a manufacturing site in Canoga Park, about 30 miles northwest of USC. That will be a huge leap from the satellites of today: About 4,500 satellites are now in orbit, with about 1,500 in good working order. The flotilla of new satellites, made by different companies and funded by different countries, would beam the internet to practically the whole planet. But ferrying thousands of satellites to space will require new approaches. Marcu, who helped design the turbines on SpaceX’s Falcon 9 rocket, is developing lighter yet more powerful rocket designs. To do this, he explores artificial intelligence- based methodologies to accelerate the rocket design process, allowing a faster evolution. Rockets have dozens of technical parameters that determine the design of subsystems like combustion devices or heat exchanges, and the human mind can only track a handful of them at a time, Marcu explains. “To optimize a design based on many more, say 20, you need help from artificial intelligence.” AI tools mean that design work that would have taken months to finish now may only take days. In addition to providing experienced workers for aerospace companies, USC also does fundamental research that pushes forward the industry as a whole — and being so geographically close to these companies was one reason USC Viterbi’s Alejandra Uranga moved her research from the Massachusetts Institute of Technology to USC. She wants her fundamental research to have applications in the real world, from big established companies to small startups. Three senior mechanical engineering students were honored at the regional American Institute of Aeronautics and Astronautics Student Conference in April for their research. The students created a database of information on the performance of different rocket engine injectors. Members of the AeroDesign Team won the national Design/ Build/Fly competition in 2017 for their plane, StarSCream. The contest tested the capabilities of their student-created radio-controlled aircraft against nearly 100 competitors. This year, the team took sixth place. 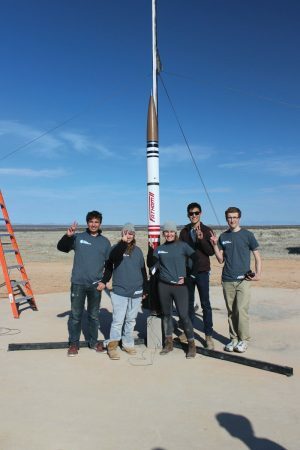 USC graduate engineering students took first in a NASA space travel competition in June for their proposed Mars transport vehicle. 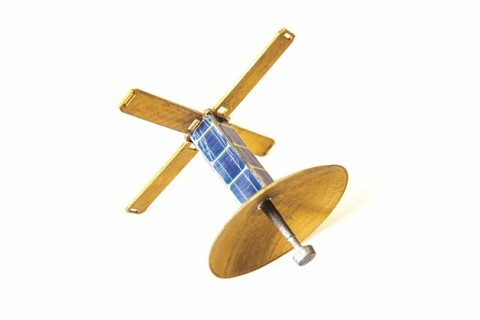 Their craft would spin to artificially create gravity that simulates the gravity on Mars. Formed three years ago, the USC Liquid Propulsion Lab has grown to include 35 members and is structured to allow all graduate students across disciplines to participate. Members explore liquid propulsion technologies—an advanced technology used by companies like SpaceX and Virgin Galactic—and recently built USC’s first 3D-printed rocket engine. Even though planes are slowly becoming more fuel-efficient — at a rate of about 2 percent per year — they will still triple their carbon emissions by 2050 as demand for flights increases, according to the International Council on Clean Transportation. But shifting the engines to the back would reduce fuel use by 37 percent, Uranga says. Working with a NASA grant, she shares her research openly so others can tackle the problem. USC Viterbi researcher Steve Nutt also is exploring ways to make the airline industry more efficient. He investigates composite materials that would streamline airplane manufacturing. Working on aerospace research projects with Korean Air, European aircraft manufacturer Airbus and two Korean universities, Nutt and his colleagues have created a way to fabricate stiff and light airplane materials without an autoclave — a giant, oven-like chamber that controls air temperature and pressure. The autoclave is a “huge bottleneck for plane makers,” says Nutt, a professor of chemical engineering, materials science, aerospace and mechanical engineering. For example, the world’s biggest autoclave belongs to Boeing, which can create one pair of Dreamliner wings per day. That puts a limit on the number of planes the company can create, which may slow production if demand for the planes keeps building. Nutt’s method can create similarly strong and stiff materials without the autoclave. The same types of materials are used in rockets and space vehicles, as well. 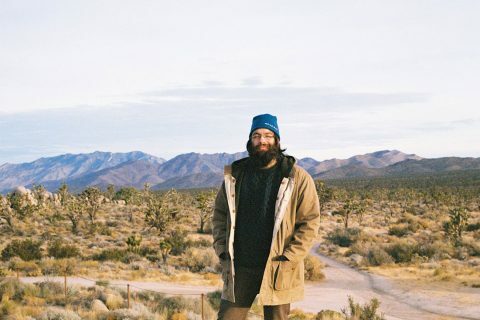 Astronautical engineer David Barnhart has worked for both USC and the government, so he stays attuned to industry trends. In recent years he has seen a revolution in the world of space-related startups and private commercial space ventures. “When I returned to USC in 2014, I realized the commercial space world was going bonkers, so I started to reach out to them,” says Barnhart, who heads the Space Engineering Research Center (SERC) at USC’s Information Sciences Institute. 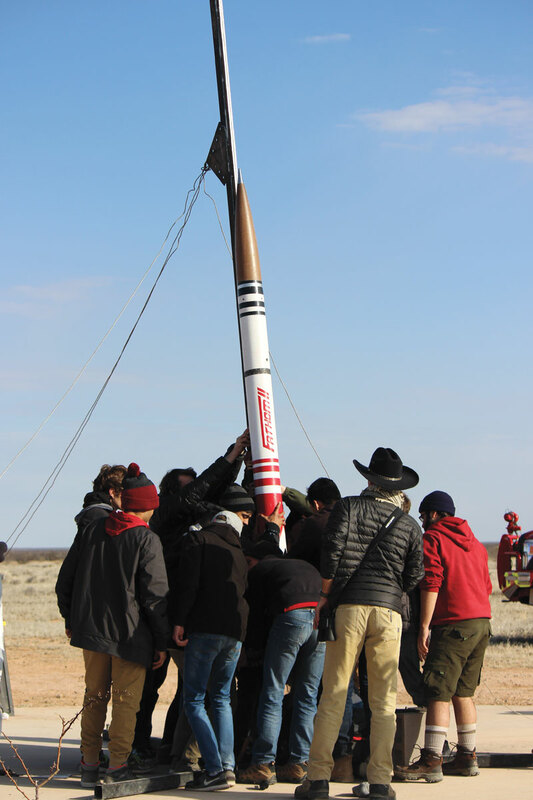 SERC offers USC students firsthand experience building satellites and designing rockets, and takes them to lectures at places like SpaceX and NASA’s Jet Propulsion Lab. SERC has been teaming up with companies for research and development and operates like a teaching hospital for space engineering, says Barnhart. 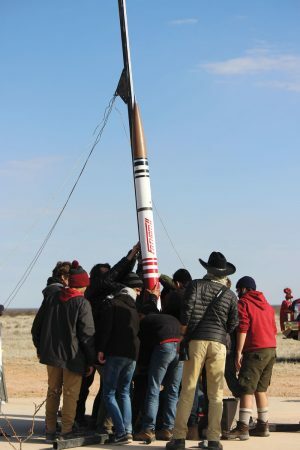 “The faculty and the staff act as doctors, and students are residents, so they get hands-on practice with every part of space engineering,” Barnhart says. That approach benefits the center’s graduates, who have gone on to jobs at highly sought-after companies. “SpaceX has such a high number of applicants, they will turn away people who haven’t had any hardware experience at all,” Barnhart says. Conversations with industry insiders have shaped the curriculum and focus at USC. “Essentially what we are doing on campus and at SERC is giving students that hardware experience so they can get in the door” at companies that are the new face of aerospace. 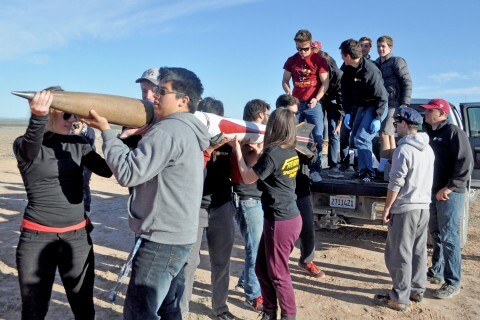 Another one of USC’s hands-on experiences for students is AeroDesign Team. Participants build unmanned, electric- powered and radio-controlled aircraft, and in 2017 the team won the national Design/Build/Fly contest. But student activities can lead to more than awards. 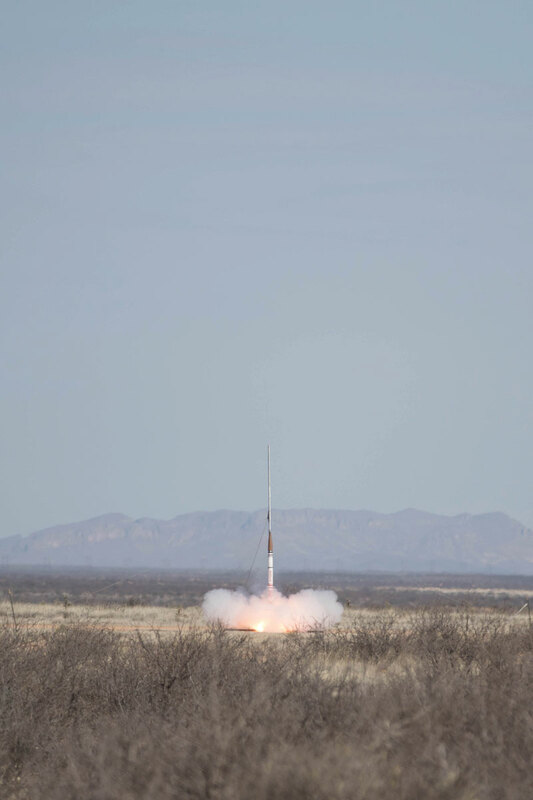 When Relativity Space cofounder Jordan Noone joined USC Viterbi’s student-run Rocket Propulsion Lab during his first week on campus, he found a home and a stepping stone for the future. He led the group for two years and oversaw its first two attempts at achieving its goal: launching the first rocket designed and built by students into space. “The project offered me hands-on training in many areas of running a company: management, FAA regulations, technical design and gathering fundraising support from USC Viterbi,” Noone says. It was also a huge part of being able to land internships during college and a full-time job at SpaceX after graduation. “Hands-on experience is crucial for competitiveness for a job right out of school,” Noone says. Keeping students up to date will also ready them to face increasingly technical and complex challenges as new generations enter space. Barnhart says that the next era of space companies has moved past the initial hurdle of just getting into space. Now companies are working on innovative ways to support other activities while in space, like servicing satellites or building habitats. “The opportunities have really opened up for new engineering and missions, but it’s also a little like the Wild West in space,” he says. The lack of rules is both positive and negative, says Barnhart: On one hand, it encourages more people to enter the market. “If we are ever going to become a star-faring people, we have to build stuff in space like never before,” he says. On the other hand, an increased number of orbiting spacecraft increases the chances of accidents in space. One craft might bump into another, destroying a million-dollar satellite and sending debris into space, which becomes a danger to everything else in orbit. Today, there are no regulations governing how one spacecraft touches another, so SERC is involved in the first global consortium to set up sustainable rules for spacecraft that meet. The guidelines might be like parking lot speed limits in space, Barnhart says, regulating the approach speed of one spacecraft to another. A new era of manned spaceflight is also brewing as commercial ventures like Boeing and SpaceX aim to send civilian passengers skyward. At USC, former NASA astronaut Garrett Reisman will bring expertise on the topic as a new USC Viterbi professor. 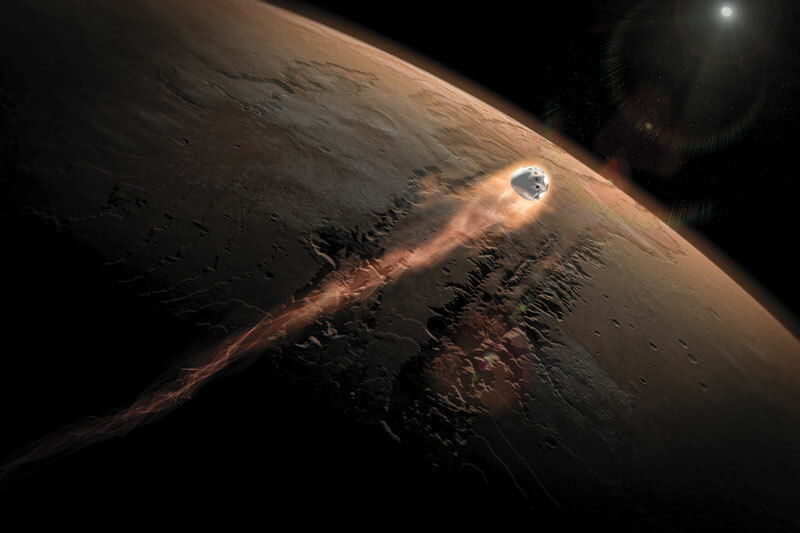 Reisman, director of space operations at SpaceX, will contribute his expertise to USC’s coursework on human spaceflight. That’s important as companies increasingly need engineers who understand how to design spacecraft for people, not just robots.